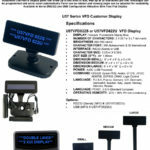 The Unytouch U57VFD822 True Flat pole display is black in color, can adjust in height, has a serial cable or USB cable to connect to the host system, and can be used at a checkout to display prices or other messages to customers. 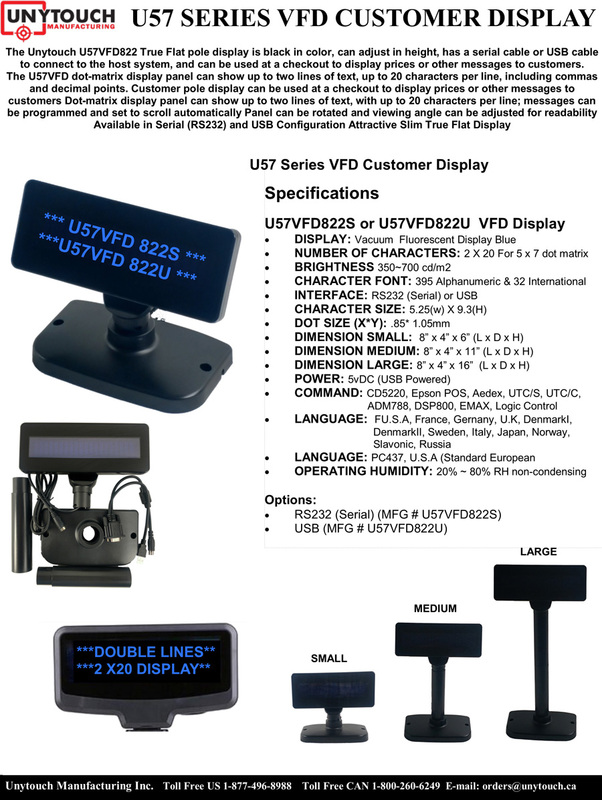 The U57VFD dot-matrix display panel can show up to two lines of text, up to 20 characters per line, including commas and decimal points. 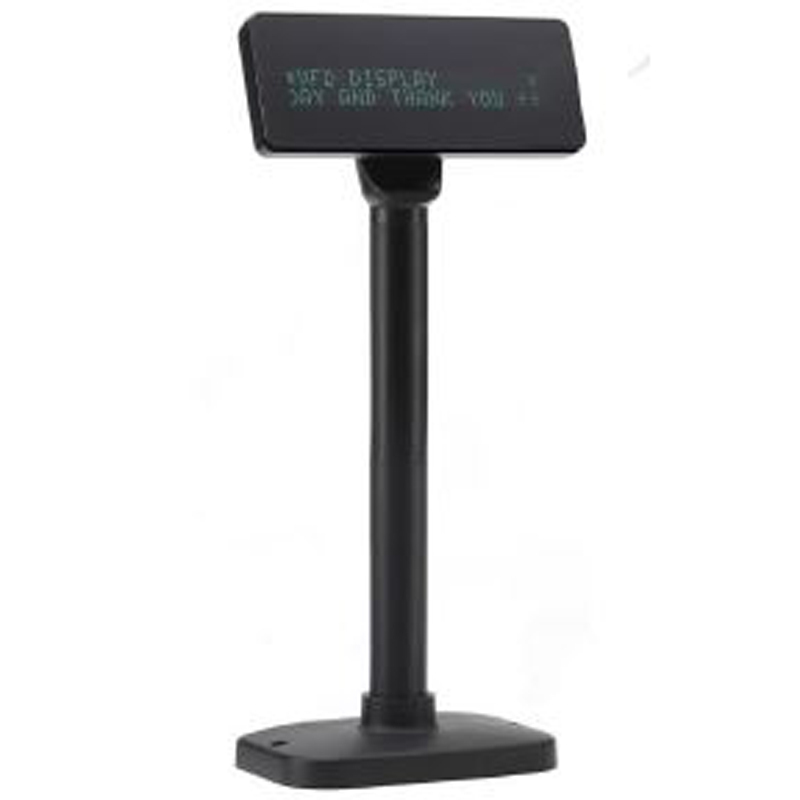 Messages can be programmed and set to scroll automatically to provide information to customers. 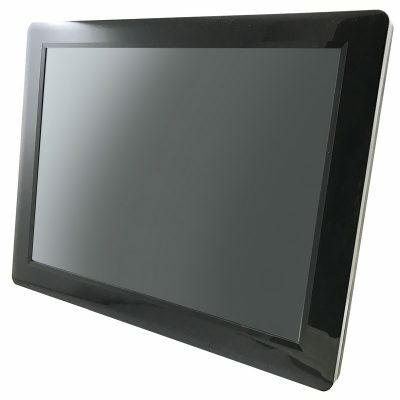 The display panel can be rotated and the viewing angle can be tilted up to for optimum readability. 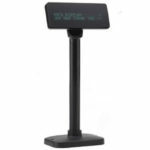 Mounting holes enable the base to be mounted to a counter or desk.